We are very proud to introduce ourselves, as one of the renowned manufacturers and suppliers of Honey Onyx Marbles. Honey onyx marbles are widely used to add a golden touch to your home and office decoration. Honey onyx gives very shining and gorgeous look after all finishing has been done. 1) Where I can use Honey onyx marble? 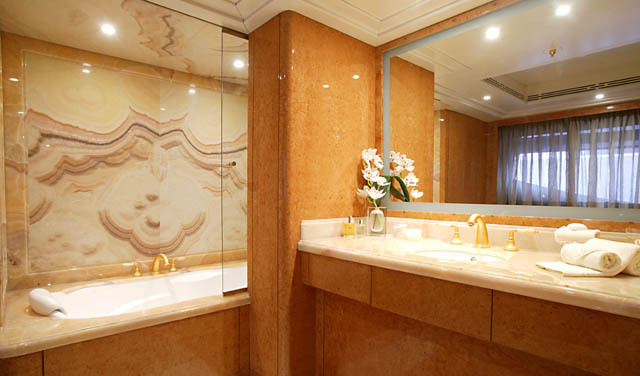 Honey onyx marble mainly used in Kitchen Back, Swimming Pool, Shower Walls, Shower Floors, inlays, and Bathroom Floors. 2) Cost-effective ranges of Honey onyx marble? The entire range of honey onyx marbles offered by us is available in excellent shades as per the demands of clients. Honey onyx marble is offered by us at very cost effective rates. You can Choose your Honey marble surface as your wish, Honey onyx marble are available in Honed, polished, Inclined, Brushed, and Waterproof surface, etc. Bhandari Marble Company is one of the leading manufacturers, supplier of Honey onyx marble. We are supplying Honey onyx marble Slabs and Honey onyx marble Tiles in different sizes. We import, export Honey onyx marble widely.